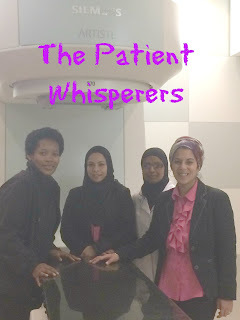 Meet the Radiotherapy Patient Whisperers at Rondebosch Memorial Hospital. I know I said I wasn't going to swamp you with a blow-by-blow account of my daily radiotherapy sessions at the GVI Oncology wing at Rondebosch Memorial Hospital. But today there was a lovely twist. When I arrived at the Radiotherapy treatment centre, I was welcomed by Kulthum, the Lead Radiotherapist. The rest of the team stood in the corridor, smiling at me. "I read your blog, Mrs Lewin," said Kulthum. This caught me by surprise. I laughed and asked her how, within under 24 hours, they knew about the blog post I had written. This was the power of sharing on the internet. Kulthum explained that one of her Facebook friends sent her the link to the post. By now the others had joined us and they were as excited to discuss the blog post. "This is fascinating," I said. Now the world knows what you guys are up to here at the radiotherapy wing." You are being watched by the blog camera." 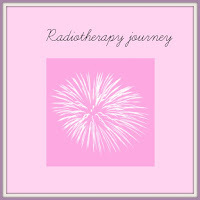 Starting my radiotherapy treatment journey. Today I started my 30 session-course of radiotherapy treatment at Rondebosch Memorial hospital, GVI Oncology department. The radiotherapy usually goes hand in hand with a lumpectomy, the surgical procedure I had to remove the cancer tumour in my breast. The type of breast cancer determines the duration of the radiotherapy treatment. The good news is that the countdown has officially begun: one down, 29 sessions to go. First I had to meet with the doctor who wanted to clear up any questions I had and then of course, I had to sign on the dotted line. The doctor has a long German surname that I will get to know over the next few weeks. Dr Hart is on sabbatical and my new German-flavored doctor will be supervising my treatment protocol. How to subscribe to my blogs on your cellphone so that you don't miss a single post again. I am finally able to help those who are struggling to subscribe to my blogs, 3D Reflections of Life and The School Corridor Tatler. The 3D Reflections of Life blog covers a range of topics. It is a personal blog where I log snapshots of experiences I have. The School Corridor Tatler covers educational issues. Because I use the Blogger platform, I am able to link both blogs as pages. This feature of blogger is fantastic. You don't have to leave the one blog to visit the other one. All you have to do is click on the tab link and you are taken straight to my second blog. 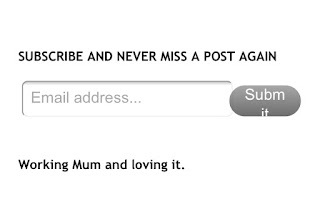 I didn't realize that the mobile version of my blogs does not display the subscription forms. Whenever one of my friends asked me how they can subscribe to the blogs, I would direct them to the subscription form that is embedded on the landing page of each of my blogs. I would tell them to access the blog via a computer to see the web version.